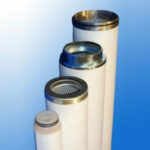 Sun Central’s Bag Filter Housings and Filter Bags are used by industries around the world and are manufactured worldwide to exacting global standards. 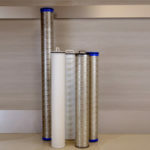 Customers can choose from a complete line of single and multibag filter housings designed to meet the needs of the most demanding applications. 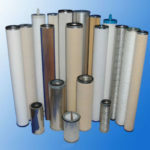 Filcon Filters supply a wide range of Compresed Air products. We offer a comprehensive line of on-site disinfectant generators designed to solve virtually every water disinfectant treatment challenge. 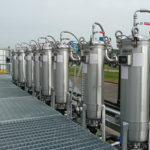 Field tested and proven, MIOX generators are available in a variety of sizes, and chemistries and are scaleable to produce some of the highest volume and rate demands on the planet. .
FTC’s line of Liquid-Gas Coalescers are designed to provide the most cost effective, high efficiency liquid coalescence available on the market. 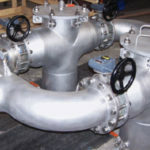 The proprietary interception, coalescence and drainage layers are pleated in conjunction with a high efficiency micro-fiber media to ensure high efficiency separation of sub-micron liquid aerosols from gas streams while minimizing fluid carry over. 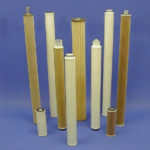 Made entirely from virgin polypropylene resin, by the latest melt-blown fiber production technologies. 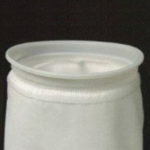 The effective absorbent surface area of the microfiber is over 4 000 m2 per gram weight, four times larger than conventional staple fibers giving them one of the largest surface areas per unit weight. With absolute ratings of 99.98% from 0.5 to 70 microns, FTC’s pleated cartridges are designed to efficiently remove a large range of solids from liquid streams. Each cartridge has a pleated, fixed pore media which maximizes effective surface area while preventing particle unloading and fiber migration. 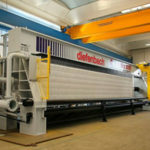 Filter presses Diefenbach have been designed to withstand over many years. 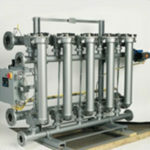 The quality of production and the right choice of filter presses for each type of process determines their life span. 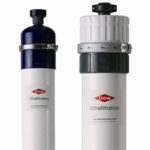 FTC manufactures several filter series to offer as alternative replacements to the filter manufacture series listed below. JONELL's large assortment of gas coalescing elements are designed to coalesce and remove submicronic particles, low surface tension aerosols, and other fine mists from air or gas streams. 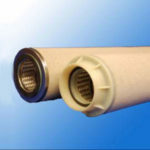 JONELL gas filters both filter and/or coalesce harmful solid and liquid particulates and permanently remove them from a gas stream. 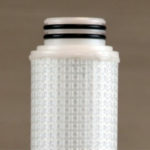 JONELL gas filter elements are available a large variety of configurations of both depth and pleated style technologies. 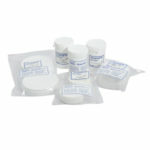 This wide range of medias allow our clients to ensure chemical compatibility as well as optimal performance. 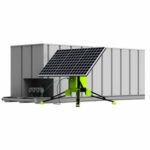 FTC introduces its DPU-600 High Flow Series. 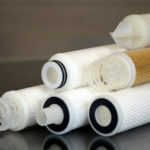 It was originally designed for low solids applications requiring high flow rates, but it is a great option for almost any application..
Our filter papers are manufactured in Europe and only the finest raw materials are selected and strictly quality controlled at reception to ensure that only the purest ingredients of cellulose with a high alpha cellulose content are always used. 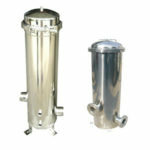 A cylindrical stainless steel housing contains a filter screen; unfiltered liquids enter the inlet; solids are deposited on the interior surface of the filtration media; and filtered fluid exits at the outlet. FTC ‘Oil Guzzler’ cartridges are designed to offer effective removal of oil from water in a conventional 2.5″ OD size design. ‘Oil Guzzler’ cartridges offer maximum oil absorbing capacity as well as a built-in flow cutoff mechanism designed to provide a positive indication of pending cartridge saturation prior to any oil bypass. For over 75 years, Eaton Strainers have earned the confidence of thousands of users. 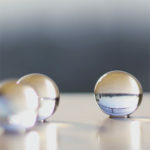 Liquid Phase Separation Elements separate and remove undesired free aqueous or non-aqueous droplets from a liquid stream. 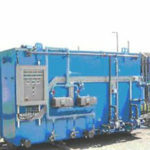 Our two phase liquid separation product line contains a large assortment of both coalescing filters and horizontal re-packs as well as liquid separating elements. 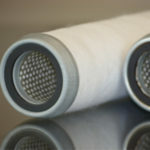 Ultrafiltration (UF) technology uses a membrane barrier to exclude particles as small as 0.01 microns, including bacteria, viruses and colloids.